Morocco and Iran face-off in the opening game of Group-B of the 2018 FIFA World Cup at the St. Petersburg Stadium as both teams hope to kick off on a positive note. Morocco and Iran are by far the outsiders of Group-B but will be hoping to kick-start their campaign with a win, knowing very well the wicked nature of things can change in an instant in football. On paper, they do not stand a chance against the might of Portugal and Spain, the other two teams in Group-B, but anything can happen here. Ironically, these teams who are considered as outsiders to qualify into the next round have both entered the World Cup courtesy of great qualifying campaigns. Both Morocco and Iran qualified for Russia being unbeaten in their qualification campaign in their respective zones. The World Cup, however, is a test on a different level altogether, and both have to show a different kind of resilience and grit to have any hopes of progressing. 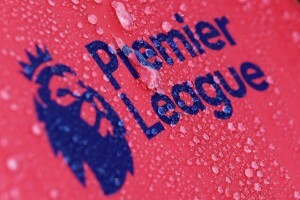 To their credit, both will be looking to kick-start with a win, as they very well know these three points could well prove precious come to the end of the group stage, considering this becomes a tight contest. 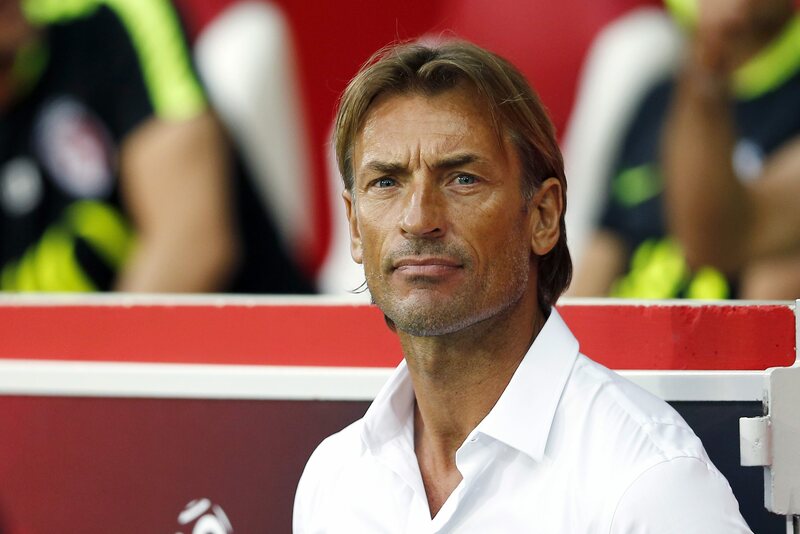 Herve Renard will have a tough job on his hands with his team selections. Morocco’s impeccable record in qualifiers of not conceding a single goal will play a massive role in Renard and his team selections. Renard has relied on his ultra-defensive tactics all throughout the qualifying campaign and is likely to stick with it against Iran. Renard knows of the shortcomings in the other end of the pitch. If Morocco are revered for their defence, they lack the cutting edge in attack. Renard’s best bet for a goal threat is Hakim Ziyech, who is set to start up front to lead the Morroco attack. If Renard is to alter his plans, he will begin to Ziyech on the left side of attack with Boutaib starting up front. Morocco’s chances in the game will be designed on stopping a goal threat from Iran. Medhi Benatia & Co. will be up for a task against Iran. Renard knows, if there is any chance for Morocco to get past this group and into the knockout phase, they have to make this game against Iran count and grab all three points. Carlos Queiroz has so far masterminded his way through qualification and Iran got a place in Russia through sheer hard work and determination. Queiroz would want his side to display the same confidence against Morocco, but he knows it would be a difficult task, and dreaming about a place in the next round right now would be too much to ask for. Either way, Queiroz will take this game by caution and lineup his Iranian side primarily to see if they can find a way past this Morocco defence. To do so, Queiroz will rely on Sardar Azmoun, Iran’s star striker as well as a few others from midfield. Queiroz has relied on a four-man defence for most of the time and is likely to stick with his usual formation. He could, however, start left back, Ehsan Hajsafi in the left side of midfield as he has done so in the past to add an extra layer of protection to his goal. Morocco and Iran will meet for the first time in a World Cup game and second time overall in their history. This will be Morocco’s fifth World Cup Appearance and their first in 20-years. Morocco conceded zero goals during their entire qualifying campaign. Iran have kept a clean sheet in only one of their last 12-games at the World Cup. Iran have qualified for consecutive World Cups for the first time in their history. 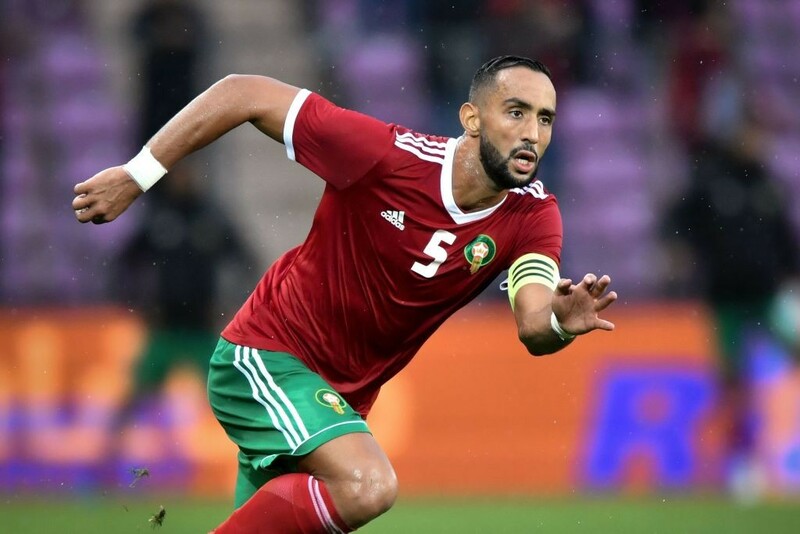 Medhi Benatia will be the key player who could be responsible for Morocco’s outcome at the World Cup. The Juventus centre-back will be looking to be at his best for his country and marshalling the defence he so expertly did during Morocco’s qualifying campaign. Benatia will lead his nation into their first World Cup in 20-years and will be hoping this would produce their best performance in the tournament. His experience at the top level will be crucial to Morocco’s chances, especially against the likes of Spain and Portugal when they meet later in the group stages. To start with, Benatia will be hoping to start with a win over Iran and kickstart Morocco’s campaign in Russia. Morocco have the quality and grit to win this one fair and transparent. Iran, despite their tremendous efforts during their qualifying campaign, have had their ups and downs so far, and would not be able to make the grade against Morocco. Defending against Morocco is one thing, attacking against a defence that has not conceded a single goal during their qualifying campaign will pose a challenge on its own. Additionally, Morocco will be boosted by the perception they carry at the World Cup as one of the dark horses and will try to prove a point. They will be relishing the idea of playing their first game against Iran, a game where they know momentum could be built for the rest of the group stages.